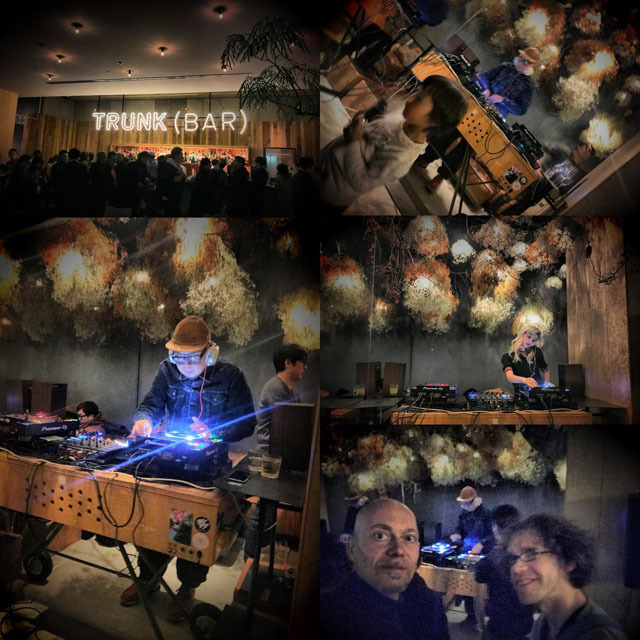 Fun outing with long time Tokyo friend Patrick in Shibuya today: dinner, Mario Cart sighting, free DJ event with Tomoyuki Tanaka (FPM) @ Trunk Hotel. 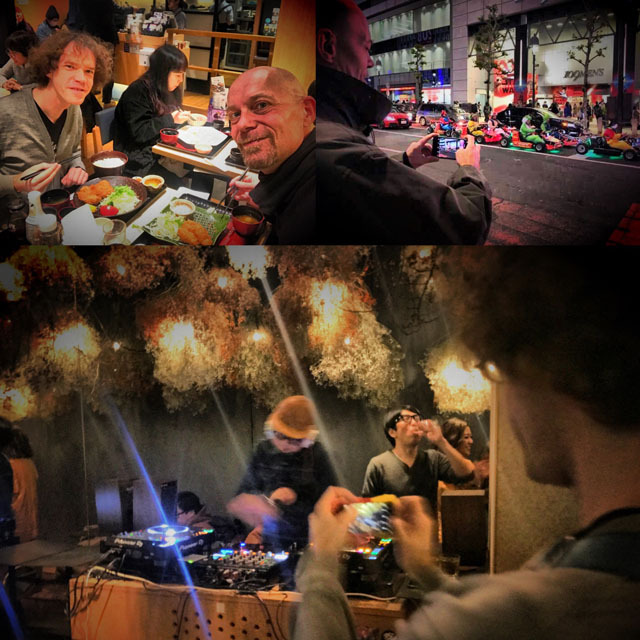 Patrick always has eagle eyes on music events in Tokyo and this one was a great find. FPM usually headlines huuuge parties with thousands of people and tickets are costly. This on the other hand was a much smaller, more intimate end of year party, free admission, great atmosphere & music. 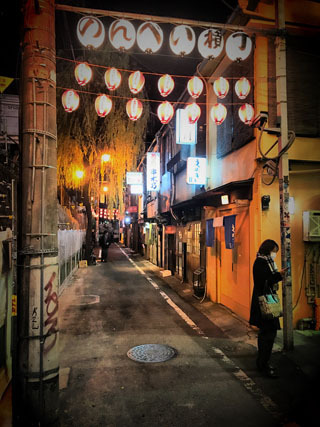 Patrick showed me a really cool / surreal area of Shibuya, the old ‘drinking street’ part of town, called Nonbei Yokocho (のんべい横丁), which looks like it stayed in a time bubble since the 50ies, untouched from all the glitter, shopping glory and high rises around. Maki Nomiya’s recent 7″ cover photo was shot here and we tried our best to recreate it. Not super easy, seems that one sign was photoshopped over from an adjacent alley way. This entry was posted in Food, Japan 12/17, Travel. Bookmark the permalink.